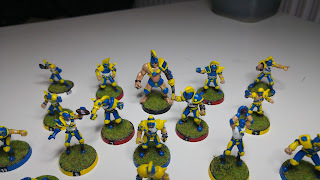 A lot of time has passed since I painted my last team. 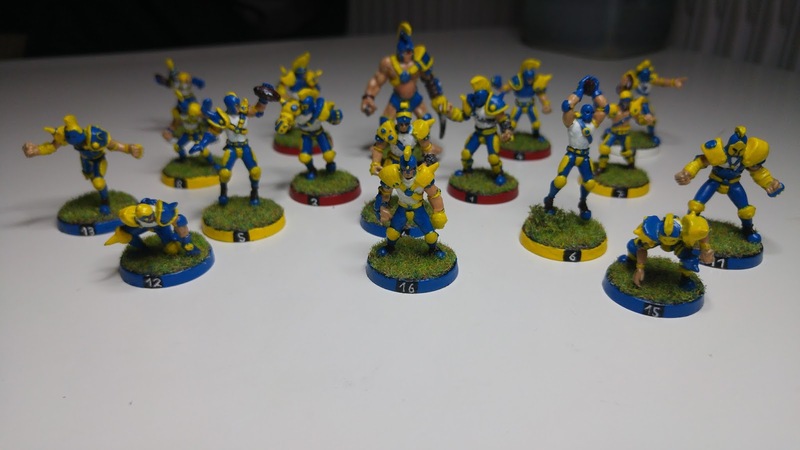 But as I was stuck the couch for the last weeks due to a juicy knee injury I finally got it done and painted my human team. 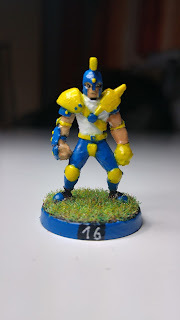 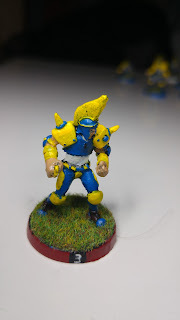 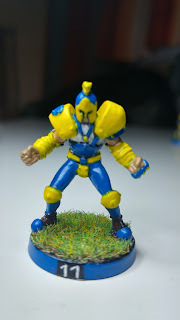 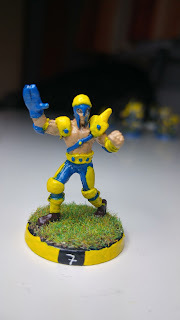 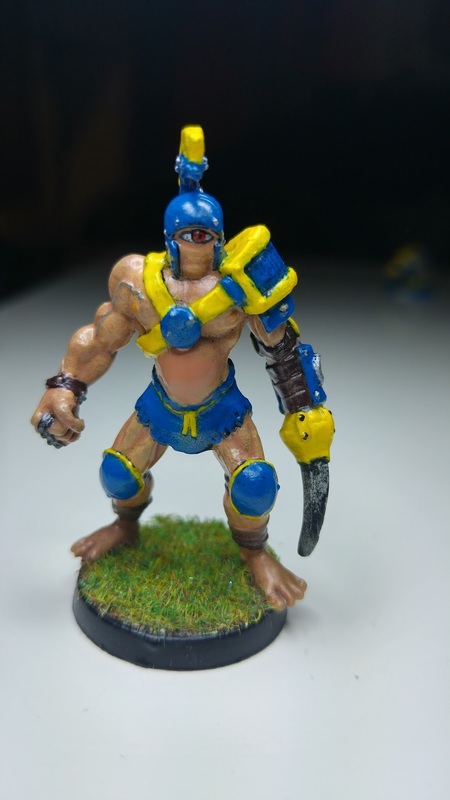 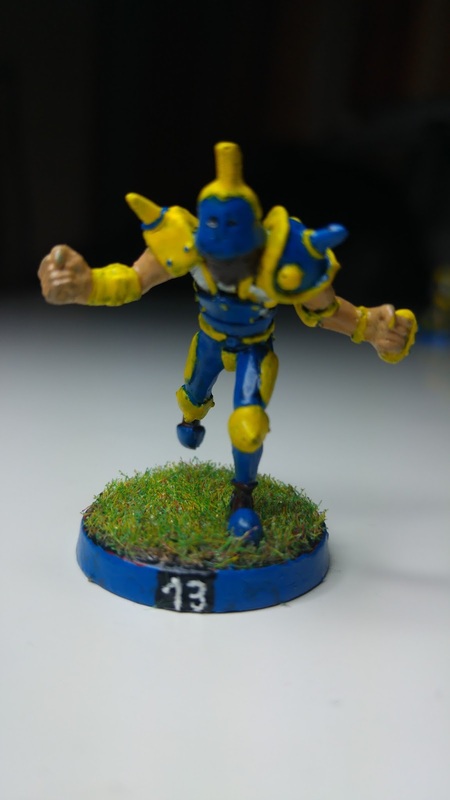 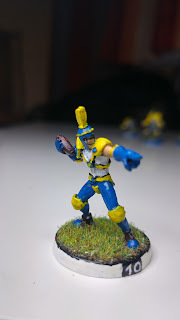 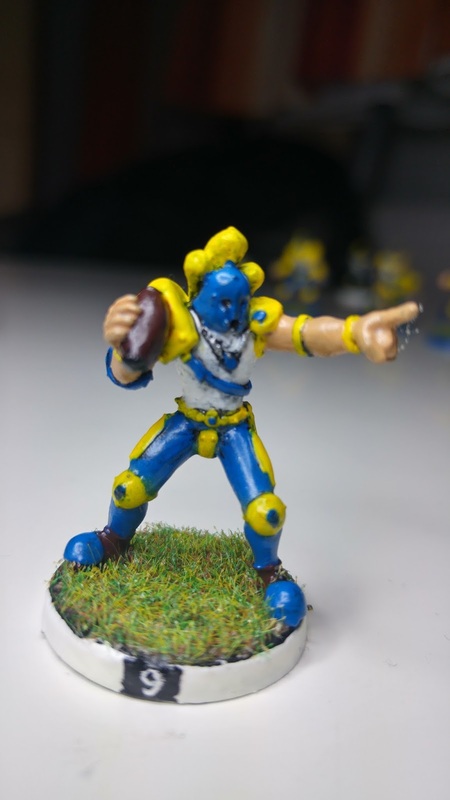 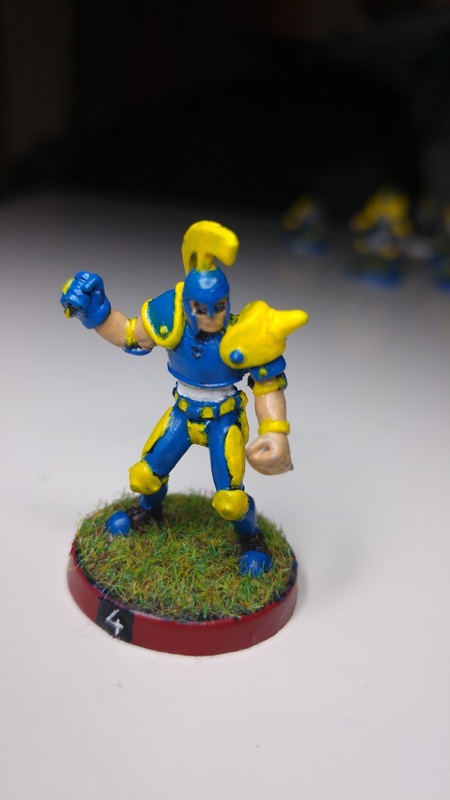 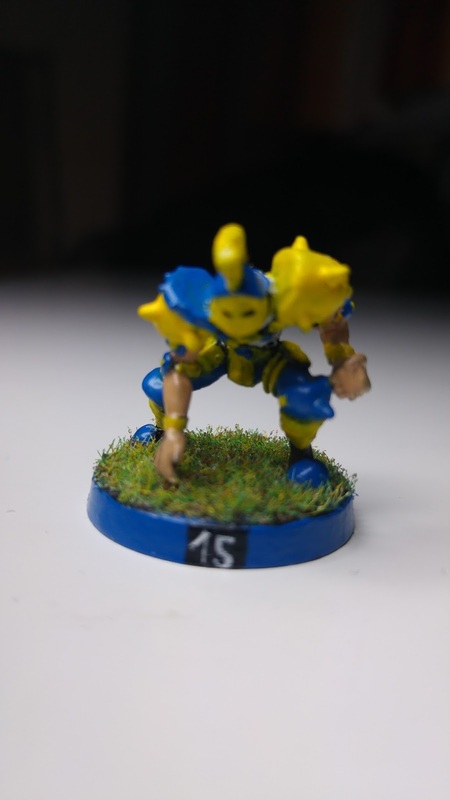 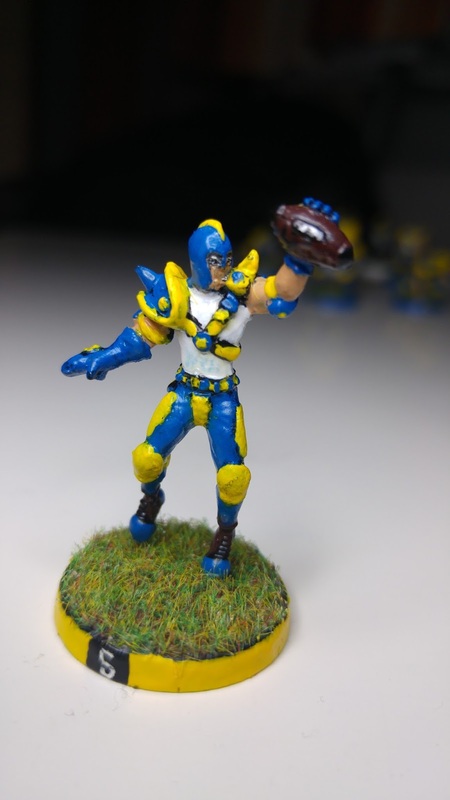 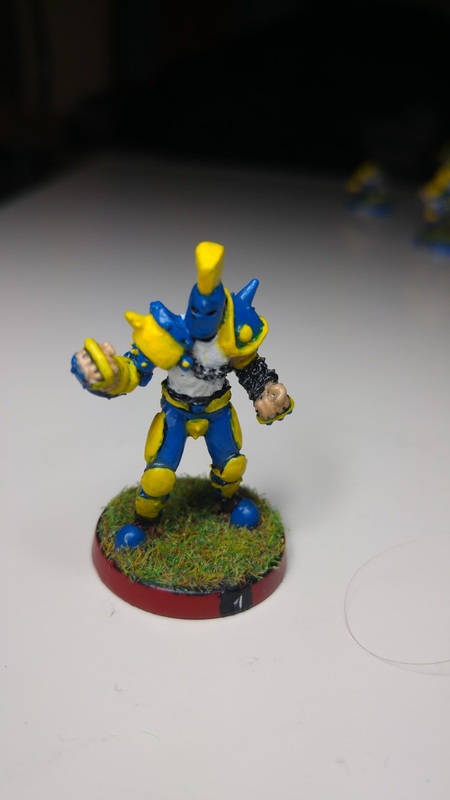 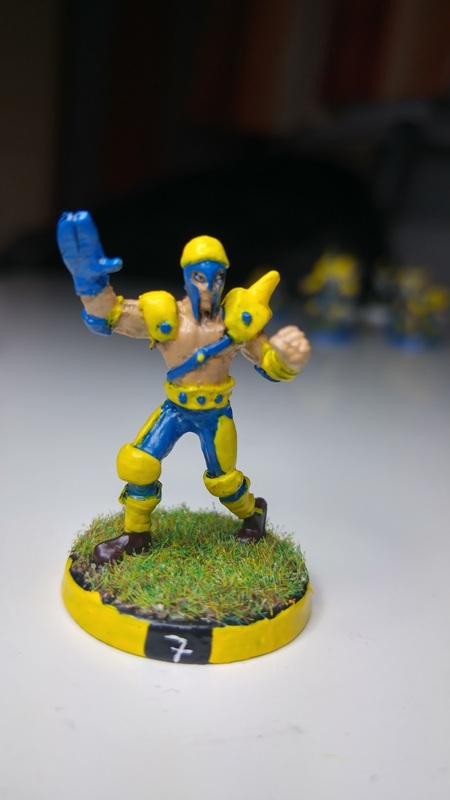 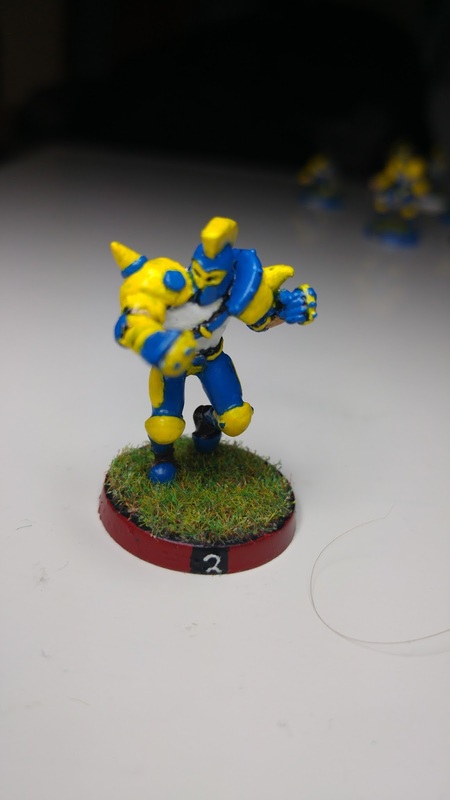 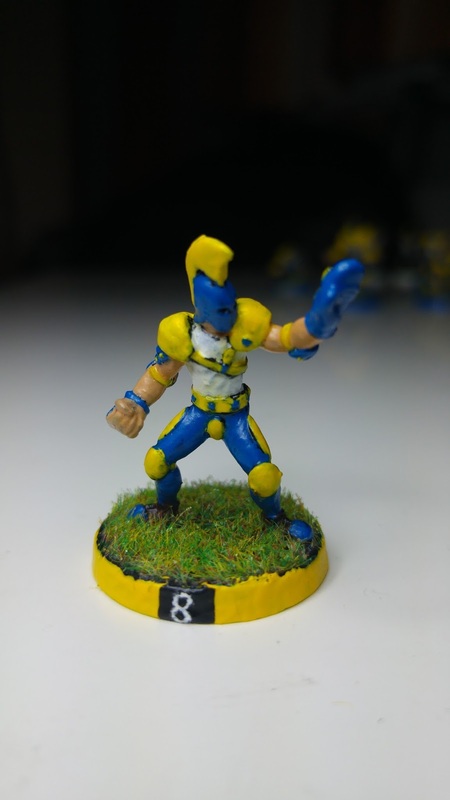 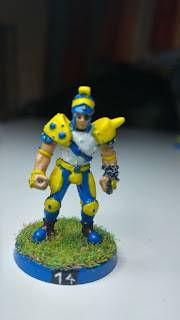 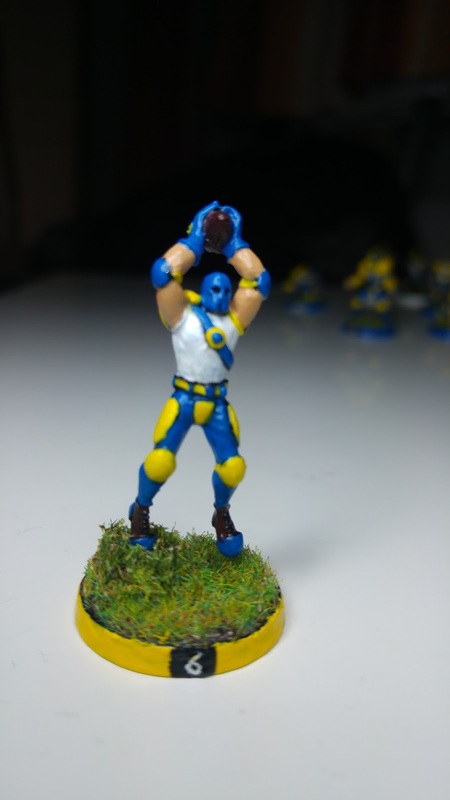 The minis are an Elfball team from Impact, so the positions were not exactly like those on the Blood Bowl Humans and I had to juggle them a bit. So two of the five safety players, which kind of resemble the blitzers, ended up being linemen, as I liked the postures of a lino better for blitzers. 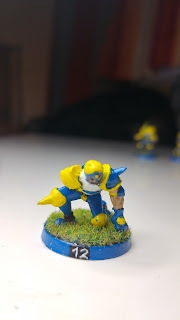 As usual the painting is not that great, but considering my lack of practice and the fact that most colors have been very old and pretty claggy, I am still rather happy about the outcome.